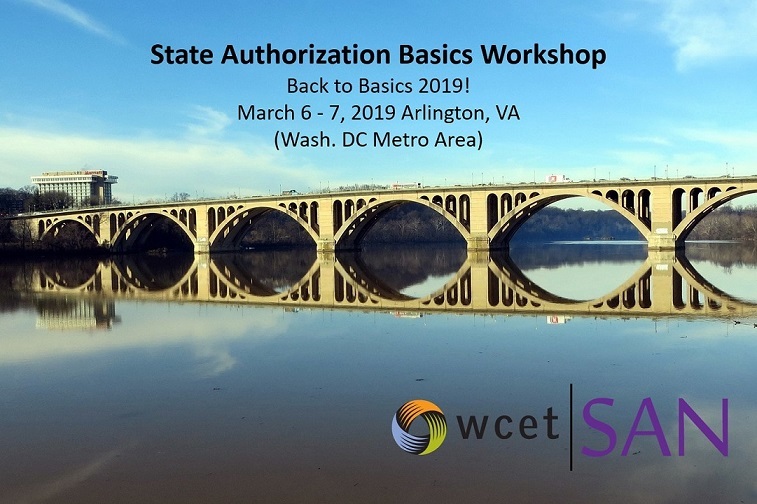 Registration is open for the WCET State Authorization Back to Basics workshop March 6 -7, 2019. The early bird rate ends January 25th! For the first time, registrants may participate an an online assessment after the workshop to earn a State Authorization Fundamentals credential! Learn more and register now!